Promotional Products & Marketing Blog » Future of Promos: Make Your Own? Future of Promos: Make Your Own? Previously I’ve discussed the future impact of 3-D printing on the promotional products industry, albeit in jest. It seems however, that the future may be nearer than we think. 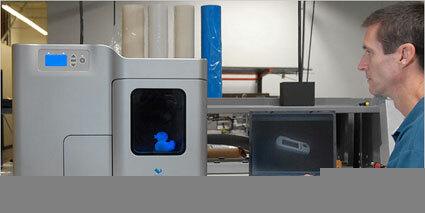 The New York Times just published an article about recent advances that promise to make 3-D printing more affordable. In addition to decreased cost, it seems the machines are getting smaller. Who knows, someday we may be selling the plans for promotional rubber ducks, but not the real thing. Of course, if you need a whole bunch of them, desktop prototyping probably isn’t the way to go. Fog Screen for Future Promotions?